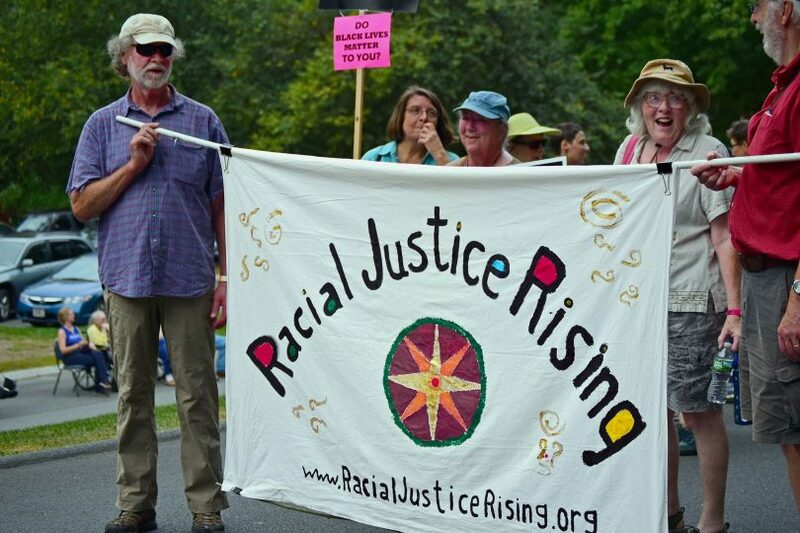 Racial Justice Rising is a small, all-volunteer racial justice organization based in Franklin County, Massachusetts. The members of Racial Justice Rising are ordinary people who are troubled by the persistent racism that plagues this country. 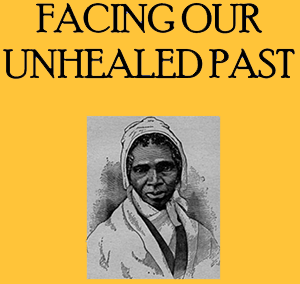 Believing that the damage caused by racism must be repaired before our society can be whole, we work for just and respectful treatment for all. White people created racism to rationalize and justify the results of colonization: genocide, enslavement of free peoples, destruction of Indigenous societies around the world, and other inhuman behavior. White supremacy is the cornerstone of racism. Racism is one of the primary tools of social control in the U.S. and world-wide, embedded in economic, housing, education, judicial, healthcare, and other systems, and in civic and interpersonal relations. Racism, which can manifest as internalized racial superiority in perpetrators or internalized racial inferiority in those targeted, causes immeasurable harm to both. 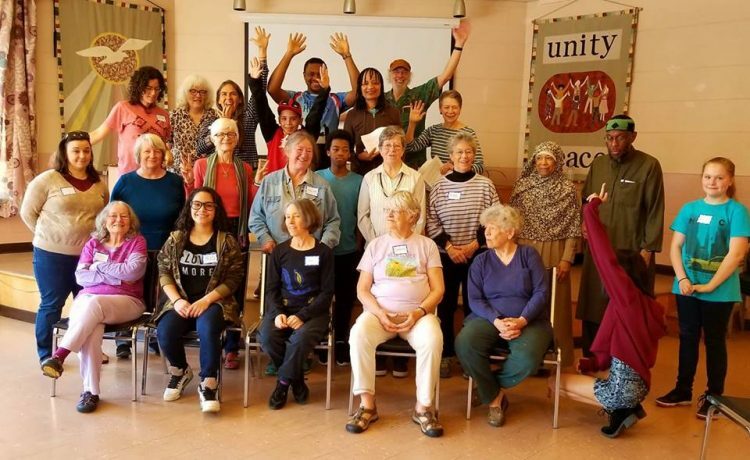 Our mission is twofold: to help build the movement for racial justice by contributing to a deeper understanding of systemic racism and racial justice, and to engage in restorative activities that help to heal the racial divide and bring justice for people targeted by racism. 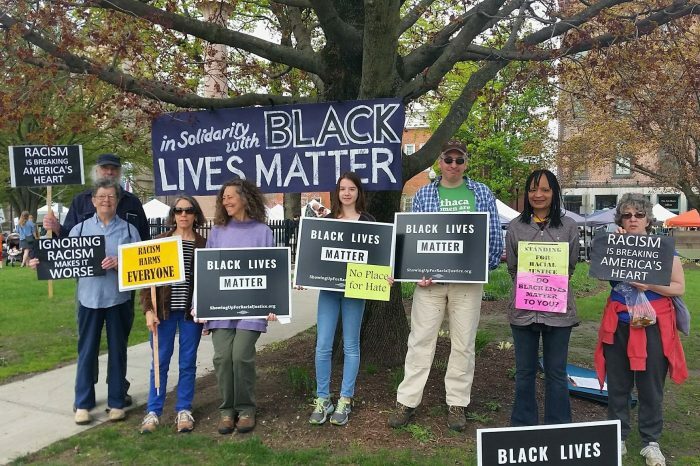 Our local activities include free monthly programs and a weekly vigil for racial justice. This website, our Facebook page, and our e-newsletter reach activists locally, nationally, and beyond with listings of racial justice resources and events. 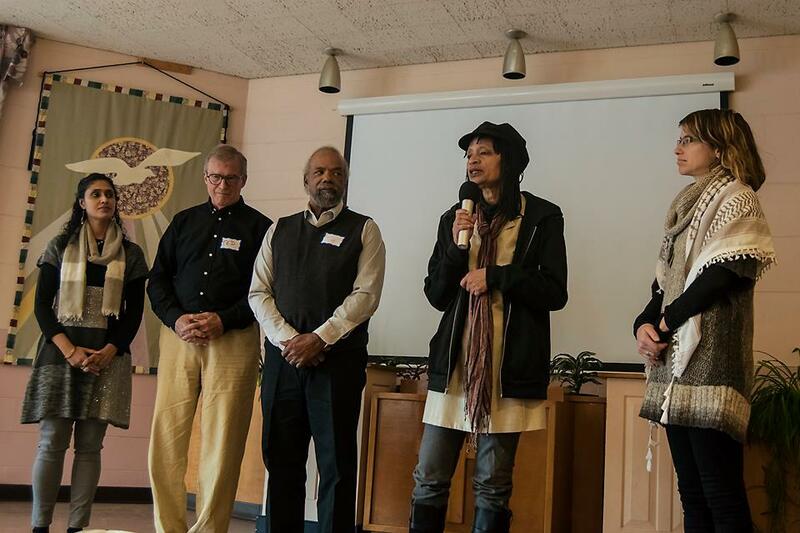 Mass Slavery Apology, the group’s original name, is still the name of the project that started our work — our statement of apology for slavery and commitments to restorative action. Join us at our Vigil For Racial Justice, co-sponsored by the Visioning B.E.A.R. 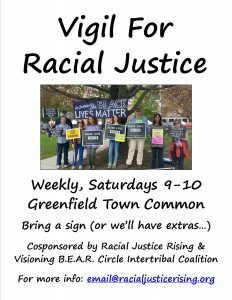 Circle Intertribal Coalition — every Saturday from 9 to 10 a.m. at the Greenfield Town Common, whatever the weather.